Everyone knows these days, when the biggest fight is the fight with yourself to get motivated and go to gym. The right music or a video can help you to overcome yourself . You can literally feel the passion and dedication professional bodybuilders like Ryan Terry, Jeff Seid or the Harrison Twins are radiating during their workouts. Everytime, when the TEAM ShapeYOU member are meeting each other new inspiring motivation videos arise. Justin St Paul and Cristina Silva show how to train with a partner effectively. Justin St Paul, Felix Valentino, Micha Schmidt and Patrick Teutsch take part in a little competition. Who is going to win? Get inspired with this video in less then 2 minues by our athletes and their well trained bodies. The Team ShapeYOU Athletes Alon Gabbay and Sergi Constance coming togeter to give everything. Motivationsvideo von den Harrioson Twins. Lasse dich von den beiden Brüdern inspirieren und schau dir an, wie weit man mit seinem Körper mit der passenden Motivation und Ausdauer alles erreichen kann. "The difference between whoy you are and who you want to be is what you do". Experience from close up how our athletes practice, and how you could work out, too. THE EXTRA HOUR makes the difference. Wenn man jeden Tag nur das macht was alle machen, wird man auch nur das bekommen was alle haben. Geh die extra Meile, trainiere länger und intensiver als andere und Du wirst bessere Ergebnisse erzielen. 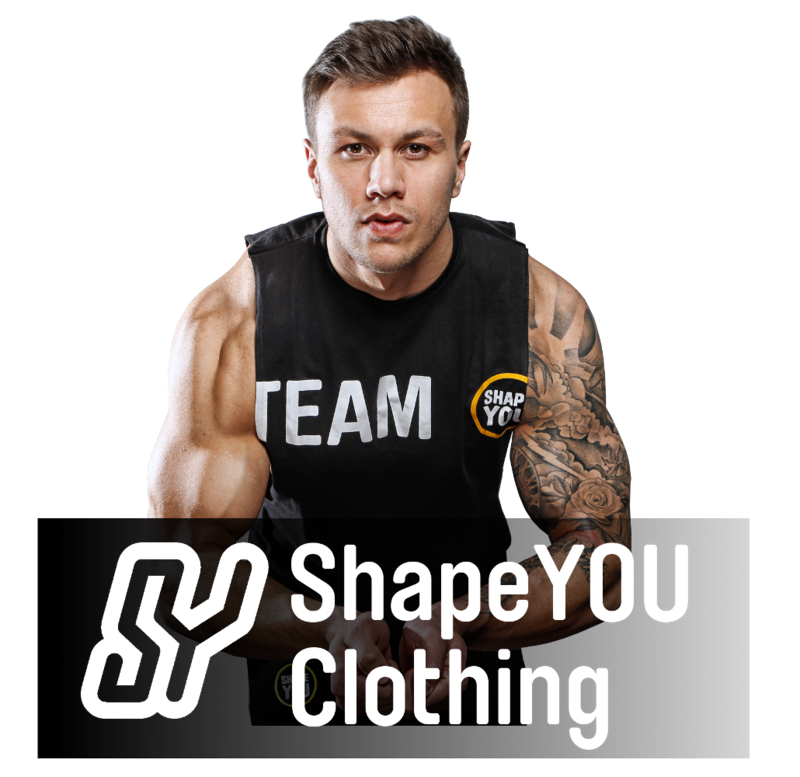 Team ShapeYOU Ultimate Workout Motivation provides the necessary motive for your workout. Pascal, Harry, Felix and others are taking you to their gym. Get motivated. Day 6 Rest Day. Rest Day? Ryan and Felix are spending their Rest Day in a boxing school. Out of their comfort zone, into hard workout. It is about overcoming boundaries, getting stronger and becoming more confident. Get yourself the motivation necessary. Lerne von dem Covermodel Steve Cook das richtige Posen.